​of fruits and vegetables for the holiday dinner tables of families in need. 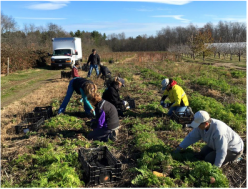 During the last weeks of the year, we hope to exceed our goal of gleaning 300,000 pounds in 2015. Support holiday gleaning efforts by clicking one of the links below!